What is Your Role at Spabreaks.com? As a QA Analyst and Coach I am responsible for monitoring calls and coaching on call handling so our agents are able to provide the best service to our customers and venues. I also coach on sales techniques and strategies to improve sales and to build up our agents skills. Why did you decide to join Spabreaks.com? I saw the role as a great challenge, something new, and it gave me the opportunity to have more direct involvement with the sales team. I have never looked back. I was the senior QA for a timeshare exchange. How would you describe the working environment at Spabreaks? The word family comes to mind and, although it sounds a bit cliche, I really mean it. It's fun, loud, energetic, supportive and competitive; in the right way. The people! The people make our business and make working for Spabreaks a genuine pleasure. I'd absolutely love to go to Dubai. What advice would you give someone considering joining Spabreaks.com? You need to be able to multitask, to be determined, and you must want to be part of the team. So is it possible to have a work/life balance? We can vote, we can own property and we can shatter the glass ceiling. We are slowly working our way towards the top job in the White House, and no one batted an eyelid when the UK saw a second female PM into Downing Street – at least not because of her gender. So is it possible to have a work/life balance, or is it just another thing to beat ourselves up about? JUST ANOTHER THING TO DO? While there are many things that Ivanka Trump may say, do, or be associated with, that are less palatable to the wider audience, herein lies an interesting and perhaps surprisingly grounded thought, because for every Insta-perfect mumpreneur out there who manages a gym routine, high flying career and perfectly presented children, the majority of us have the overwhelming feeling that we’re failing if we don’t achieve absolutely everything. It’s one thing saying that ‘balance’ is the key, but sometimes, doesn’t that just feel like another thing to add to the to do list? We are often told that when it comes to career or family, one or the other will end up suffering. In our experience we have almost never met a parent who would let their children suffer because of their work, and because of the perfectionist streak in most of us, combined with the financial need to make our jobs work, our jobs tend not to suffer either. What can go flying out the window are our friendships or time dedicated to our own wellbeing. Of course, despite the sage advice that she gives not to let convention dictate what you do, Trump’s suggestions are somewhat undermined by the fact that she appears to have ready access to personal staff at home who help her to manage her various work and life commitments – not a privilege that many of us have. Nonetheless, the point is made that beating ourselves up over the things we’re not doing rather than being chuffed to bits at the things that we are doing is something worth considering. Sandberg, who, amongst other humanising aspects has admitted to crying at work, has also said: “employed mothers and father both struggle with multiple responsibilities but mothers also have to endure the rude questions and accusatory looks that remind us that we’re shortchanging both our jobs and our children. As if we need reminding.” It is a feeling that many men and women will feel is all too familiar. This is a much discussed topic across the Internet, and probably the bottom line is that everyone will find their own way to handle the question of work/life balance. Mental health is at an all time peak and we hear boundless stories of women (and men) who feel as though they are at breaking point with the variety of obligations they have in their lives. We don’t know, but we’re working on it, together. Surely it is a collective responsibility to try to support one another? While the world’s most successful businesses begin to look at alternative models of working, whether it be flexible hours or working from home thanks to a changing world of work facilitated by technology and socio economic changes, some of it still seems to come down to our own approaches; maybe we don’t kick ourselves for not going to the gym five times a week? Maybe our friends will understand if sometimes our catch ups need to be had via FaceTime instead of in person? The bottom line? This whole work/life balance thing is a work in progress, but the good news is that we’re all in it together, and we’re all trying to find our way. So try not to be too hard on yourself about it – it’s just another thing to do. Amazing news at Spabreaks today as we announce that actress and TV presenter Denise Van Outen will be joining the team as a new ambassador for the upcoming year! At Spabreaks.com we send more than 4,000 people on spa breaks each week and we endeavour to push the industry forward, with particular efforts made in making wellbeing more accessible for those with cancer and championing body confidence and mental health awareness. As part of Denise Van Outen’s work with Spabreaks.com, the mum of one, famed in particular for her role presenting The Big Breakfast and performances in the West End and on Broadway, will be reviewing spas, sharing her thoughts on health and wellbeing on the Hot Tub and working with us on upcoming initiatives throughout the year. Now in her 40s, Denise has been outspoken about her increasing awareness of health and wellbeing. Embodying the Spabreaks.com principles of balance and enjoyment, she has talked candidly about combining healthy eating and exercise with life’s little indulgences, as well as proactively supporting those with and beyond cancer. An avid spa goer, Denise knows the value of spending quality time with friends in a relaxed environment, as well as dedicating time to caring for herself in a world of busy work schedules, and wanting to feel her best in order to be the best mum possible to her daughter, Betsy. In 2012, Spabreaks.com launched Recovery Retreats, an industry first that made spa days and breaks accessible to anyone with or recovering from cancer. We have also launched initiatives such as Accessible Spas and Women’s Wellness Week, and worked hard to champion the role of women in the workplace. 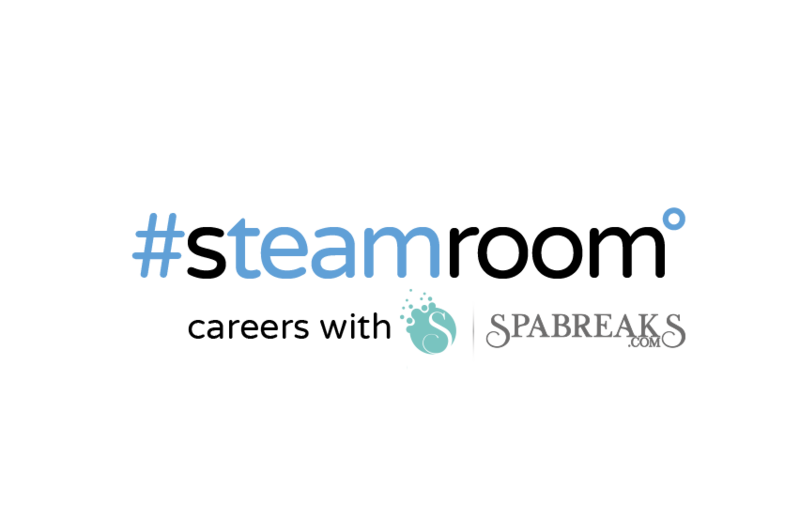 It is therefore with mutual passions and ideals that Denise and Spabreaks.com prepare to work together.